Our Chapter holds a range of events to support Read>Lead>Achieve® and all of our literacy initiatives. We typically hold one or two Open Houses each year, where our house is open to members of the Greek and Campus community to visit. Open Houses in the Fall term are Halloween themed and held close to October 31. 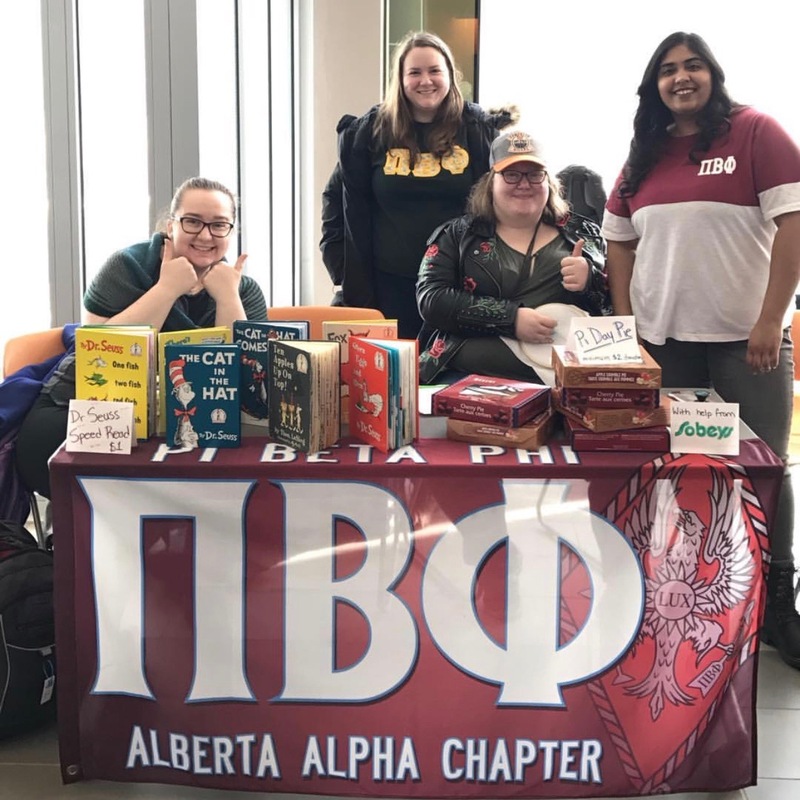 Open Houses in the Winter term are Dr. Seuss themed as part of our Fraternity Day of Service, which is Pi Beta Phi’s International Day of Literacy-related services celebrated in honour of Dr. Seuss’ birthday at the beginning of March. Each year our Chapter hosts Pie a Pi Phi, where brave members volunteer to get pied in the face to support literacy. 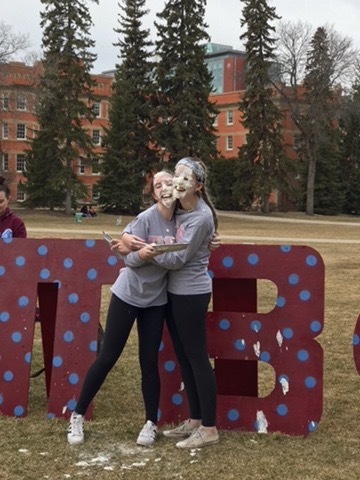 Pie a Pi Phi also includes a bake sale to raise more funds to support our literacy initiatives. Other events we have done in the past include Lemonade for Literacy, where we sell lemonade with literacy facts attached, and Speed Reads, where members from different chapters and groups compete in various literacy themed challenges.